Exterior of Langley Storage facility which housed remains of Apollo 204 spacecraft, its heat shield, associated hardware and investigative data (81 cartons). The Langley Research Center alternative photo number is L90-3989 (35345); Interior of facility along with the 81 cartons of data. 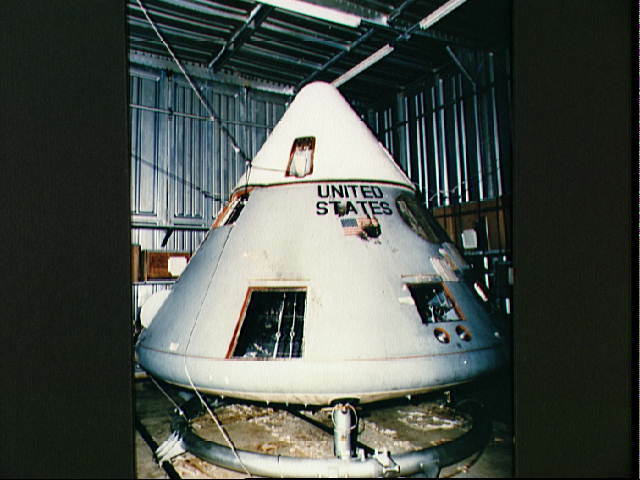 The Langley Research Center alternative photo number is L89-697 (35346); And view of the Apollo 204 spacecraft. Langley Research Center alternative photo numbers are L89-701 and L89-700 (35347, 35348).